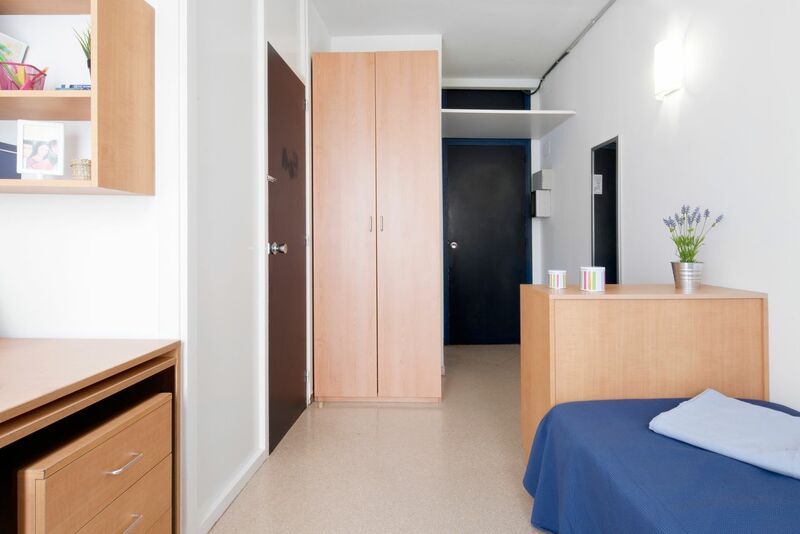 In between lectures, explore the best of Terrassa from your student accommodation. Soak up the sights and sounds of the historic Mercat de la Independència, where you’ll find everything from fresh produce to gourmet cheeses and wines. Explore the city’s architectural heritage with a tour of beautiful Catalan Castell Cartoixa, before meeting your friends for a sunbathing session in Parc de Vallparadís. Cool off with a dip in the park’s public pool, then get ready for a night out on the town. Sample traditional cuisine at La Ginesa, or catch a Spanish play at Teatre Principal de Terrassa. 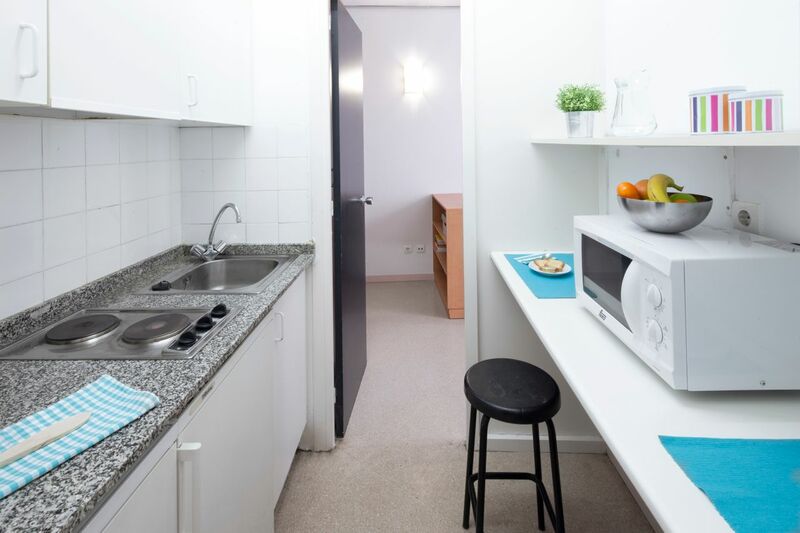 In the mornings, roll out of bed at Residencia Universitaria Francesc Giralt i Serrà, then choose something to wear from your spacious wardrobe. 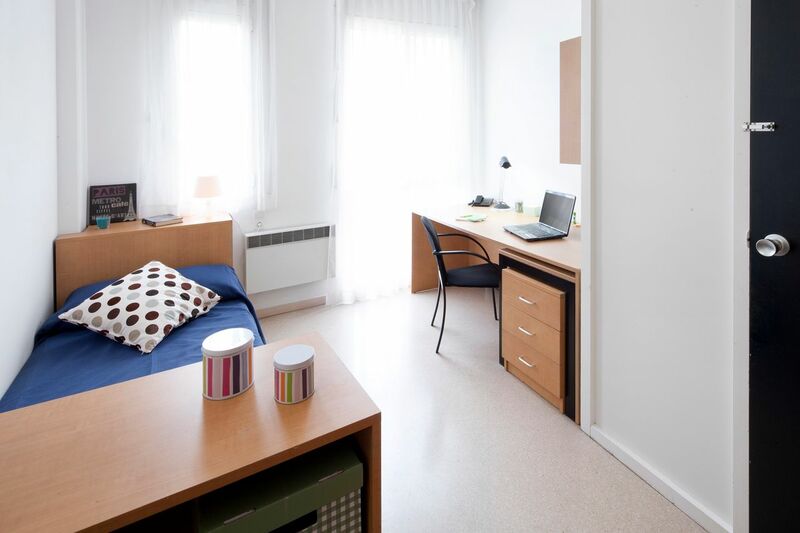 Use the free Wi-Fi to catch up on your emails, then stroll across the road to classes at UPC Terrassa. On weekends, walk seven minutes to Vallparadís Universitat station for the hour-long train ride into central Barcelona. Spend the day swimming at Playa de la Barceloneta, or photographing Gaudí’s iconic church, the Sagrada Família. When you get home to your fully furnished studio, adjust the climate control to the perfect temperature, then dump your books on your bedroom desk and head to the recreation room. Swap gossip with your friends on the comfy sofas, or raid the vending machines for a tasty snack. If you’ve got work to finish, escape distraction in one of the study rooms, or take your laptop outside for an alfresco study session at one of the terrace’s sun-soaked tables. Later, work up a sweat in the fitness centre, then rinse off with a shower in your ensuite bathroom. With a laundry facility on site you’ll never run out of clean clothes, while the complimentary cleaning service means your housekeeping duties will be kept to a minimum. In the evening, cook up a storm in your apartment kitchen, then use the direct phone line to call up your friends for a fun night out. Try Taberna Cacique for a wide range of beers from all over the world – with no curfew at Residencia Universitaria Francesc Giralt i Serrà, you can come home as late as you like. We couldn't find a room that matches your preferencesView all Shared Room in Residencia Universitaria Francesc Giralt i Serrà Terrasa. We couldn't find a room that matches your preferencesView all Private Room in Residencia Universitaria Francesc Giralt i Serrà Terrasa. We couldn't find a room that matches your preferencesView all Entire Place in Residencia Universitaria Francesc Giralt i Serrà Terrasa.